Henley Honda | Innovation | "A Company Canada Wants to Exist"
"A Company Canada Wants to Exist"
Over the years, Honda Canada Inc. has strived to be Canada’s favorite brand of passenger cars, and for the past 16 years, Honda has been awarded the title of best selling passenger car. After just completing their four-millionth retail sale of a passenger vehicle, Honda Canada Inc. has been in a celebratory state and after all of their hard work, they deserve to be. Honda’s number one vision of wanting to “become a company that Canadians want to exist” has guided them to 45 successful years in Canada. Although in their first year of introducing cars they only sold 747 Honda civics, to date Honda sells over 160,000 cars and trucks annually through their 231 Honda dealerships and 50 Acura dealerships across the country. 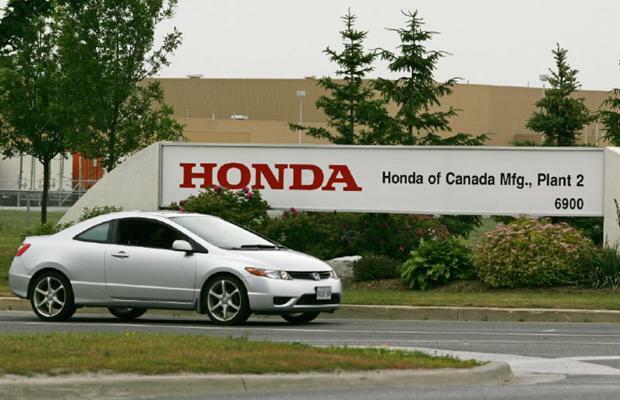 In addition to having the title of best-selling car for 16 straight years, and hitting the four-million mark for car sales, Honda Canada also reached yet another milestone; producing their six millionth vehicle in their 2 manufacturing plants in Alliston, Ontario in 2012. Here at Henley Honda we seek to keep you, our loyal Honda consumers, happy with our service, and part of our Honda family for generations to come!